Congratulations! Winner have 24 hours to get back to me. Or else I will have to pick another winner. It’s a Giveaway time – AGAIN! Birthday celebration continues with my another promised giveaway! And this time, It is a box full of fresh, beautiful and carefully grown the famous Lipman tomatoes! Do I even need to mention that this giveaway is sponsored by Lipman tomatoes? Yup, it is. So generous. Thank you Lipman! I will get back to giveaway details in a while. At first let’s talk about what I made of these beautiful tomatoes! Do you remember my post about Tiamo tarts that I made using Lipman tomatoes? So this time I have made Thai tomato chutney using their gorgeous, delicious cherry tomatoes and used it on my all time favorite snack – Bruschetta. Bruschetta! 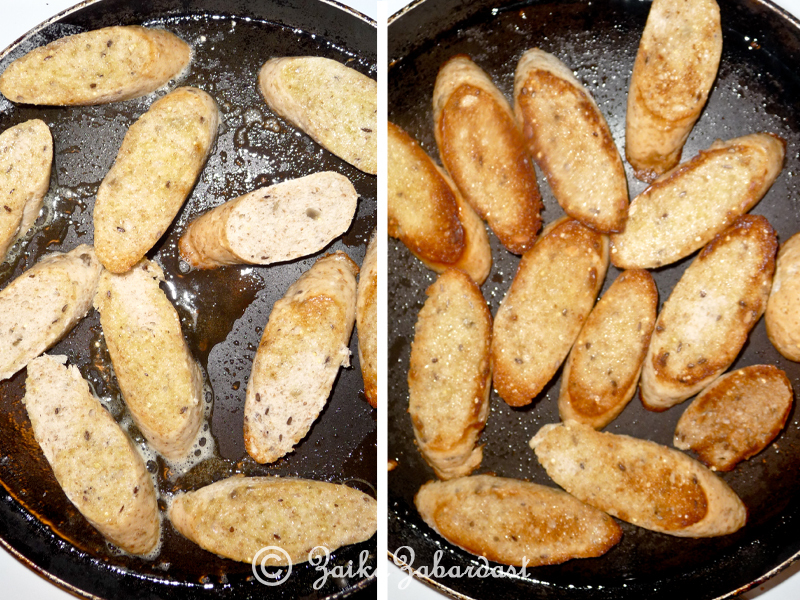 Pan fried baguette in EVOO/butter or both, rubbed with garlic and topped with the toppings you like…mmmm the best! 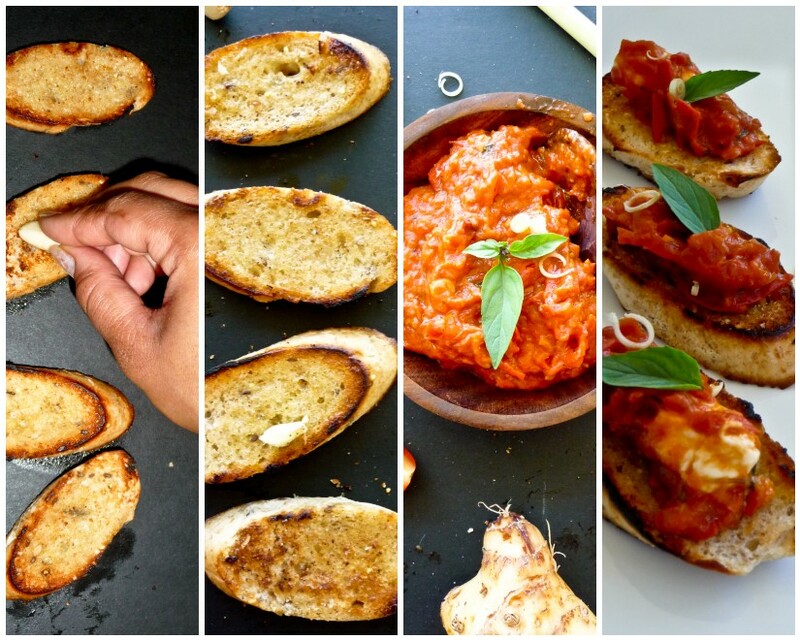 There might be many ways to make bruschetta but I prefer pan-fried method over oven toasted. Have you seen this movie Julie and Julia? Oh, of course you did, if you love food. It is my all time favorite movie. If you remember in that movie, Julie replicates Julia’s recipe of bruschetta using pan-fried method and from that day I am a fan of making bruschetta this way.Yup, I noticed! Pan frying makes a whole lotta difference in the world. Believe me! Do try it yourself. 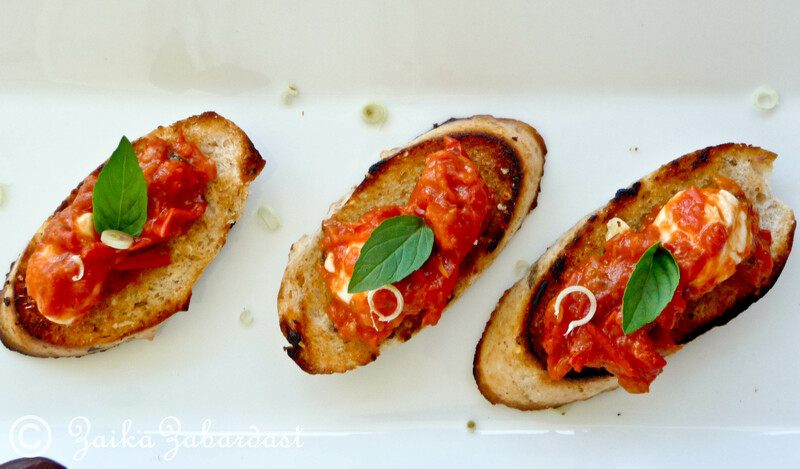 Here’s how to make Pan fried bruschetta! In a separate bowl, mix mozzarella cheese with Thai chutney and keep aside. In a large non-stick pan/skillet, heat EVOO along with butter(if using or else more EVOO) and toast the bread slices on both sides, until you get nice golden color. Remove the bread from the pan and immediately carefully rub the garlic clove over the hot bread. Use paper towel if required to hold the hot bread slice. This way hot bread will soak the garlic flavor in to it and gives it amazing flavor. Believe me, it really makes whole lotta difference. Arrange bread slices in a serving platter and top each one with a chutney/cheese mixture. 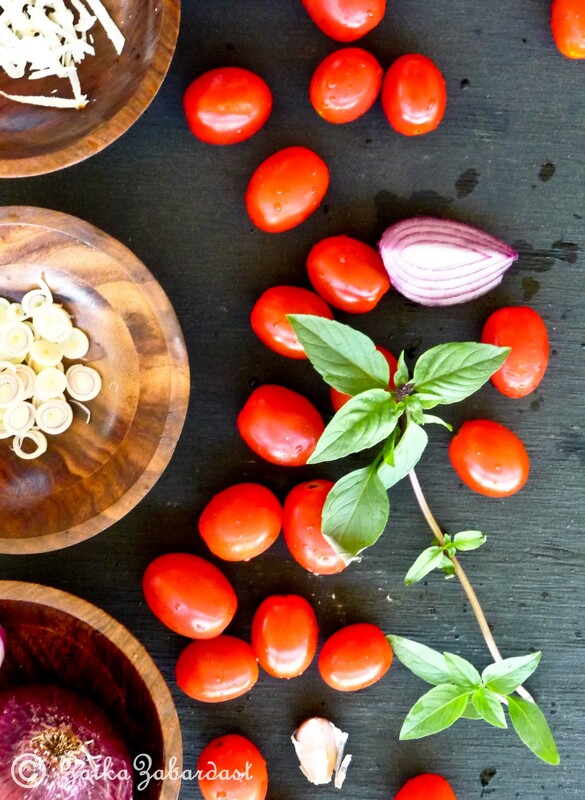 Garnish with few julienned basil leaves and enjoy! This chutney is out of the world. Made with delicious Lipman cherry tomatoes and packed with refreshing Thai flavors. Bit tangy, bit sweet and bit spicy. All in one byte. It is absolutely delicious. In a medium saucepan, heat oil on medium heat. Add lemon grass and galangal and sauté for a minute until fragrant. Add chopped shallot/onion and garlic. Season with some salt and pepper and sauté for 3-4 minutes. Add whole cherry tomatoes, brown sugar, crushed red pepper, soy sauce, lime juice and lime zest. Mix, cover and cook for about 10–15 minutes or until thickened. You do not want too thick or too watery chutney. So cook accordingly. Stir in between. Let it cool down a bit and grind in food processor. Just for few times. We want chunky chutney not puree. Why the color is different? 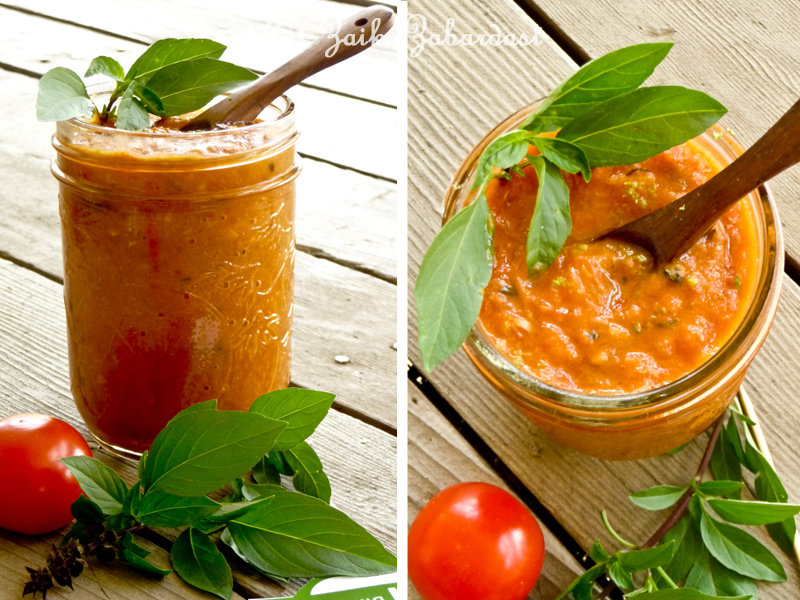 Because I tried making this chutney using Roma tomatoes. Result? Color is different but no compromise on taste! So make it with whatever you have available. Now let’s talk about giveaway. Lipman tomatoes is giving away One box full of different tomatoes that they grow in their field. Different verity includes their most famous Tiamos, cherry, Jewel, Roma and Heirloom tomatoes. I do not know exact quantity but it’s a lot that’s all I can say. This giveaway is open for USA residents only. This giveaway is open until Thursday (5/31/12) 11:59:59 pm (your time). I will pick one lucky winner on Friday (06/01/12). Because of Memorial day long weekend holiday here in USA, I am extending the giveaway deadline for another week. Now the giveaway is open until Thursday (06/07/12) 11:59 pm (your time). I will pick one lucky winner on Friday (06/08/12). The winner will have 24 hours to get back to me so make sure to leave a valid email address. Your information is confidential. I will use the random number generator software to pick the winner. So if you choose to go for extra entries, make sure to leave separate comments for each entry. Otherwise the number generator software will not recognize your entry. Mandatory entry: Just leave a comment in this post. Optional entries: Make sure to leave separate comments for each step you follow. Remember to leave a separate comment for every step. 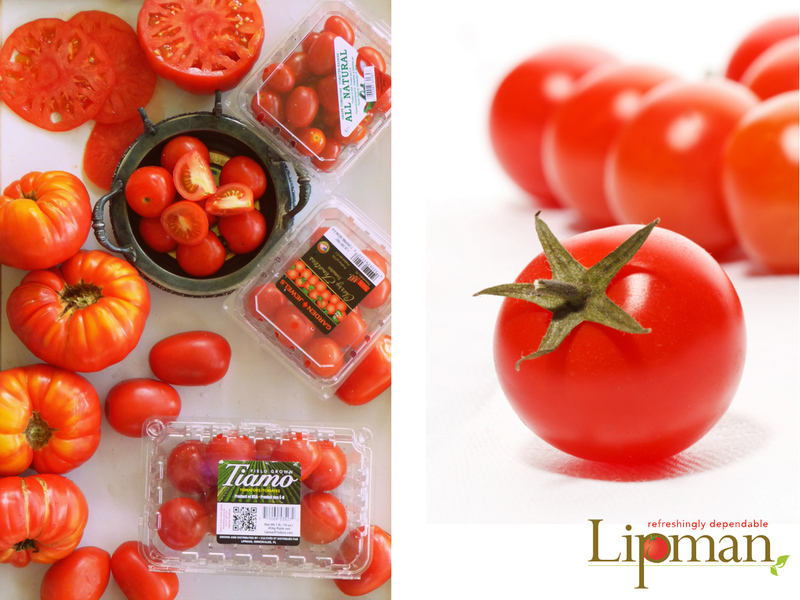 Follow Lipman Tomatoes on Twitter. 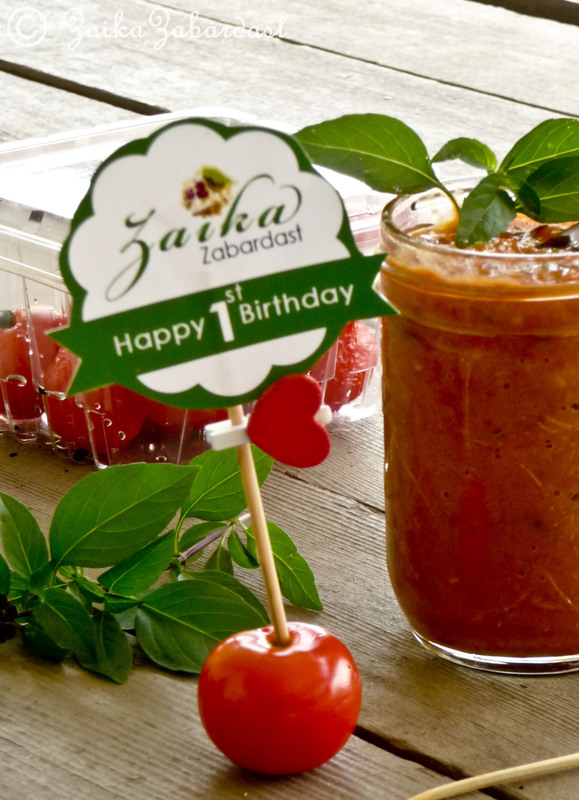 Tweet about this giveaway saying: “I just entered to win a box full box of awesome lipman tomatoes from ZaikaZabardast http://wp.me/pTI6E-sI @zaikazabardast @lipman_produce” or something like that. Such gorgeous photos! 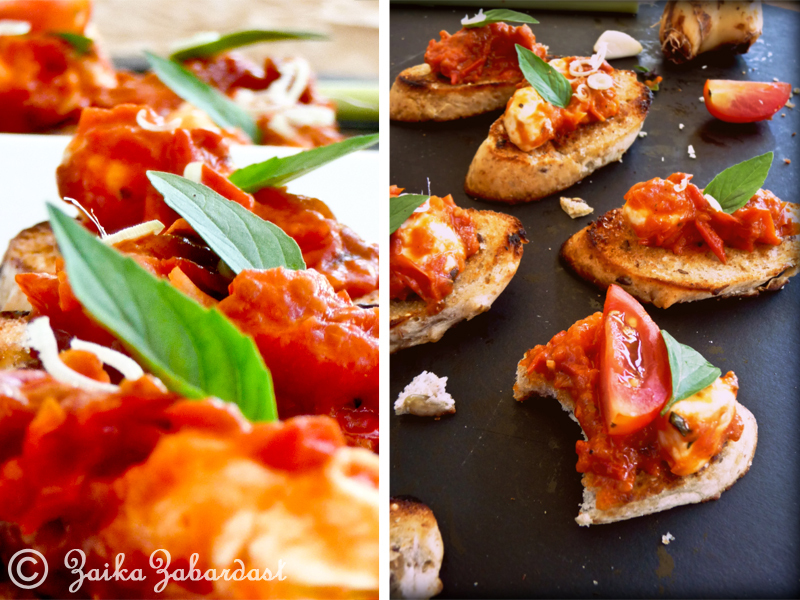 I love bruschetta and I will have to try your pan frying method! Thanks Milisa 🙂 Apprecieate you visiting my blog. 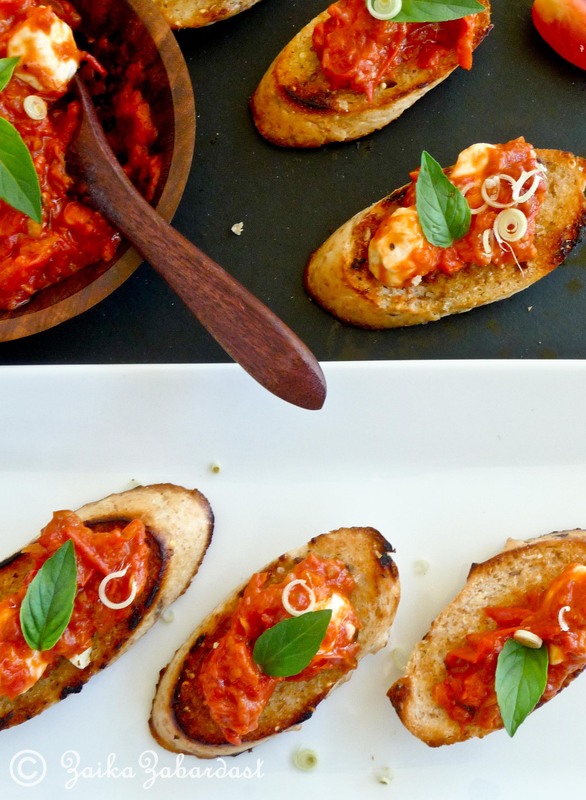 How fun to celebrate with tomatoes and that bruschetta looks incredible. that bruschetta looks SO delicious! and your photos are stunning! thanks for sharing! I like your facebook page! A lot! 🙂 Your blog is absolutely gorgeous! I’m so excited for tomato season! I can’t wait! Oh my goodness, I could live on nothing but tomatoes!! Would love to win this giveaway!! Am now following you on Twitter! Am following Lipman Produce on Twitter! Yum, yum, yum! This looks DELICIOUS! i like your chutney idea – you’ve inspired me to make something new! i don’t plan on using all of the ingredients, but most. 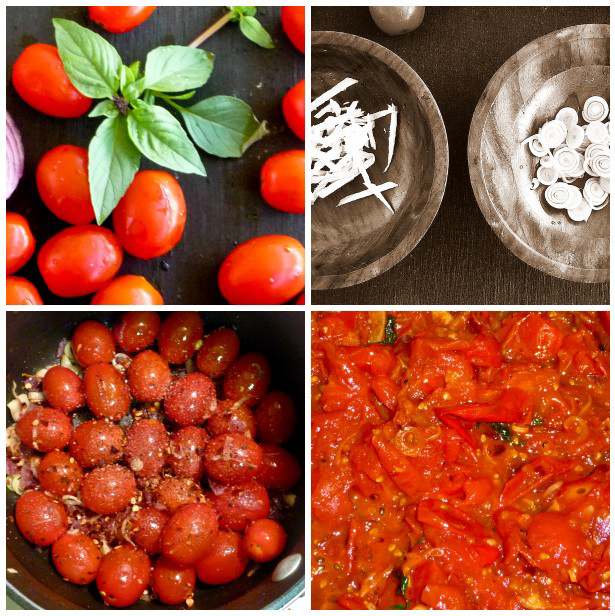 i’m making a tomato chutney, fresh mozz, basil sandwich – can’t wait!